Dimensions 10 ft x 10 ft x 7.5 ft tall. This castle is ideal for venues with low ceilings. 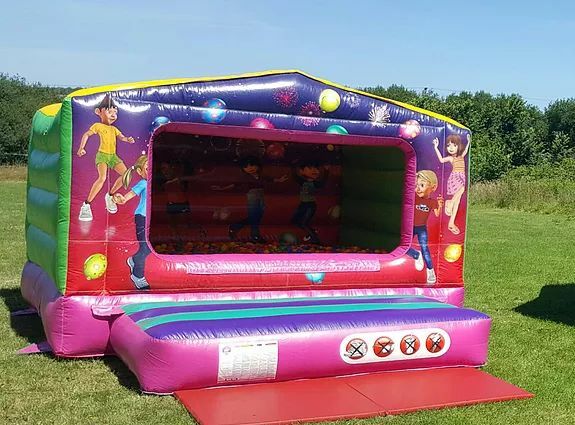 Party themed with enclosed bounce area so making it perfect for the younger ones. Suitable for girls and boys up to 1.2m tall.